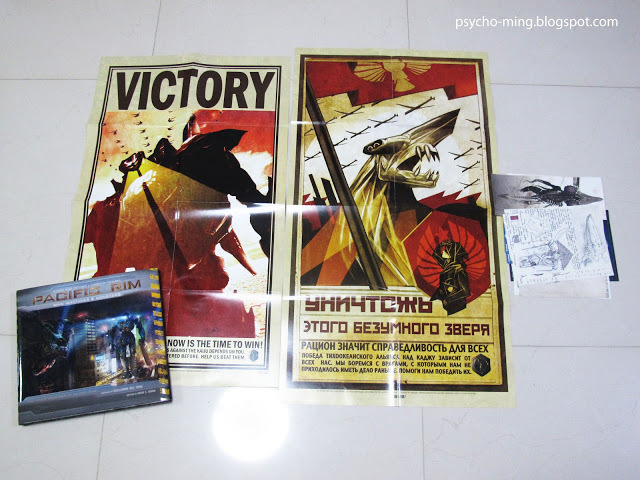 It looks like my Pacific Rim Russian futurist style propaganda poster is one of the posters that comes with the art book. It's the one on the right. The posters look interesting! But the text in Russian made me laughing till the tears. :) Did not expect to see it. Awesome, great job! It looks amazing!